What are Import Direct products? 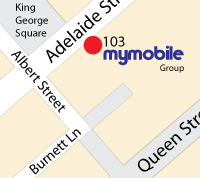 In addition sto selling Australian-Sourced Stock, this website is also a sales channel for an international partner, MyMobile Hong Kong (Registered Hong Kong company). Import Direct products are products supplied from internationally-based distributors and shipped directly to end customers from overseas rather than from the manufacturer’s Australian locally-licensed importer. These products are sometimes also referred to as “grey imports”. Products acquired from the manufacturer’s Australian locally-licensed importer are referred to as “Australian A-Tick” or “Australian Stock” products. Australian stock products usually come with a local warranty from the manufacturer. In comparison, Import Direct products mostly do not have a manufacturer’s warranty, but come with a voluntary warranty provided by MyMobile Hong Kong and the statutory protection of the Australian Consumer Law Act. Please note that for any returns, for any product, for any reason, postage from the customer to My Mobile must be paid for by the customer. Import Direct products are not illegal, inferior, factory seconds or demo stock. In fact, in almost every instance they are identical in form and function to their Australian stock counterpart. The My Mobile Group tries to provide accurate specifications for individual devices, however, final responsibility for compliance and suitability for local purpose rests with the purchaser. Please be aware that as stock is sourced from around the globe, it is not uncommon for packaging seals to be broken or removed. There are various reasons why this may be done such as; to inspect package contents, insert compatible chargers or adaptors, network unlock or region unlock devices, or update language settings. Be assured that devices are still Brand New and have not been used in any other way. Pricing of Import Direct products is listed in Australian dollars and excludes any applicable taxes such as GST. Tax may be levied with respect to the goods by tax and customs authorities in Australia and/or the country the goods are shipped from. For the purpose of customs and border processing, the end customer is the importer of the product and will be liable for any such taxes. Currently, items imported into Australia valued less than $1000AUD do not incur any import taxes or duties. Please allow 8-11 working days for import orders to arrive! Orders are packed and shipped as soon as they are recieved, but can take up one working day to appear in tracking, and can sometime be held by customs for up to a day. Be aware that you are ordering overseas devices - they may not contain an Australian compatible wallcharger and may be in other languages. Why is My Mobile offering Import Direct products? Simply, our customers have been asking for it. Our research has discovered that many of our customers are also buying their electronics and accessories from overseas websites such as Amazon and eBay. The boom in online shopping and the Australian consumers thirst for the latest products at the best prices has lead to improved supply-chain logistics globally. Together with the strong Australian dollar, it is now time and cost efficient enough to make these Import Direct products available to our customers. The additional benefit to our customers is our Australian-based company will provide local support on behalf of our international partner. Our Australian-based company has arranged an agreement with an international company, MyMobile Hong Kong, to advertise their products on our website and to our customer database.